A dyanmic exploration of space, glowing sleek and modern, this killer Swan Street collection of three different bars is an open space that's equally comfortable and wild. 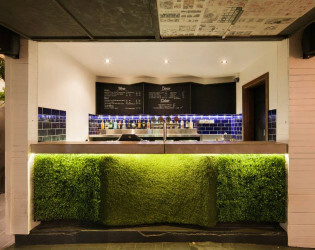 If hired exclusively, the Beer Garden comes equpped with private bar service, banquet seating, bar stools and a flat screen TV. 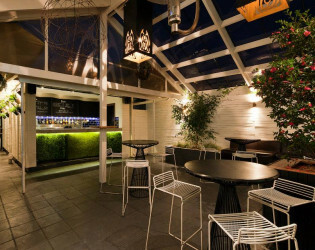 The Beer Garden can also be divided and hired for groups of 70 or less. Our Mezzanine Bar on Level One provides the perfect space for exclusive indulgence. 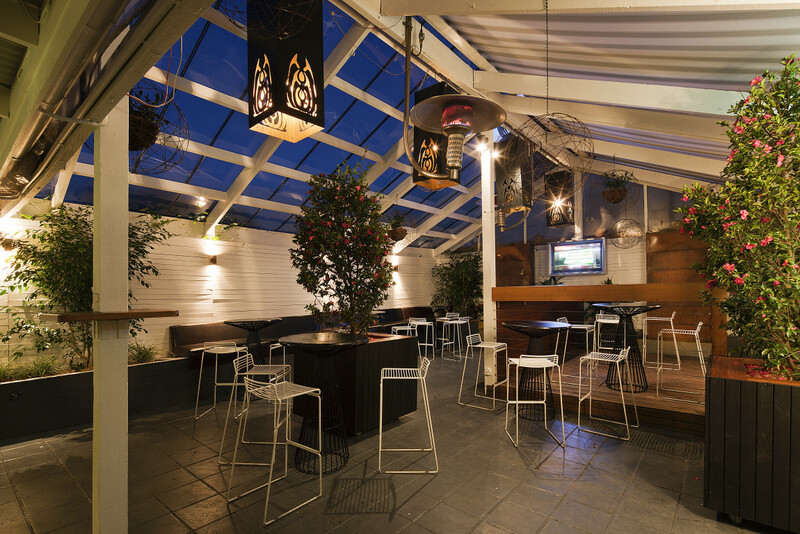 Retreat in this comforting space complete with its own bar, bartender, exclusive lounge and stand up function area. 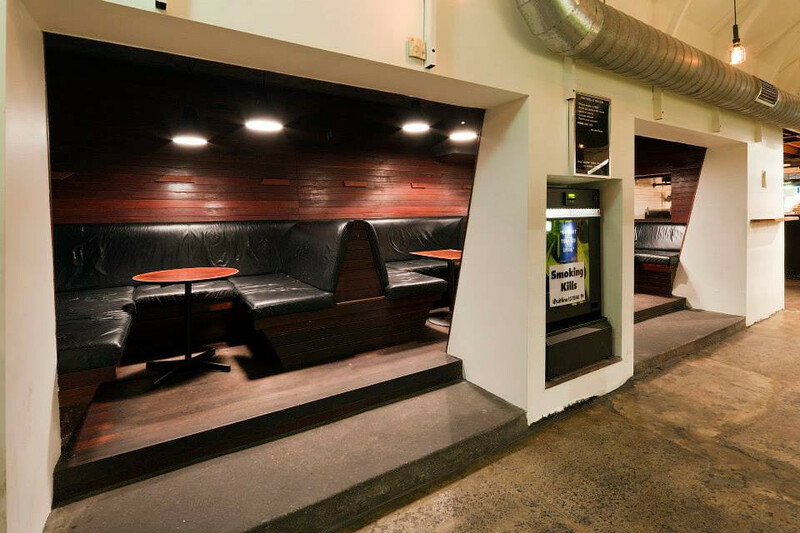 Our Front Room is the perfect space for a semi-private area in the middle of the action. 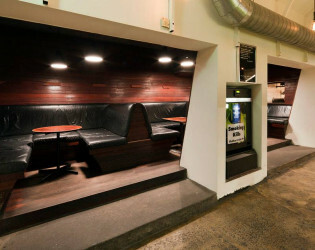 Our Fireplace Booths provide the perfect space for the lounging around with your mates. 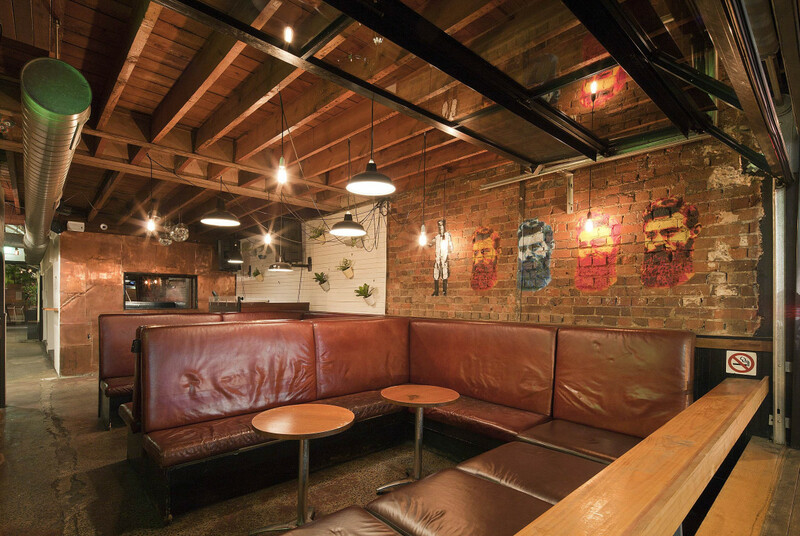 Sit back in our enormous window booths with a glass of wine next to the open fire, or chill our on the windowsill with a pint in summer. 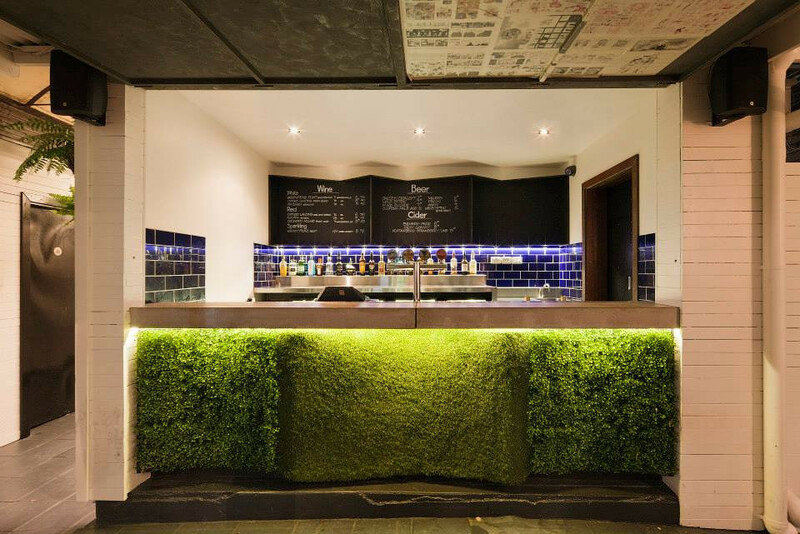 Located within our heated, undercover beer garden, The Water Walls area provides the perfect space for splashing out with a group of friends. 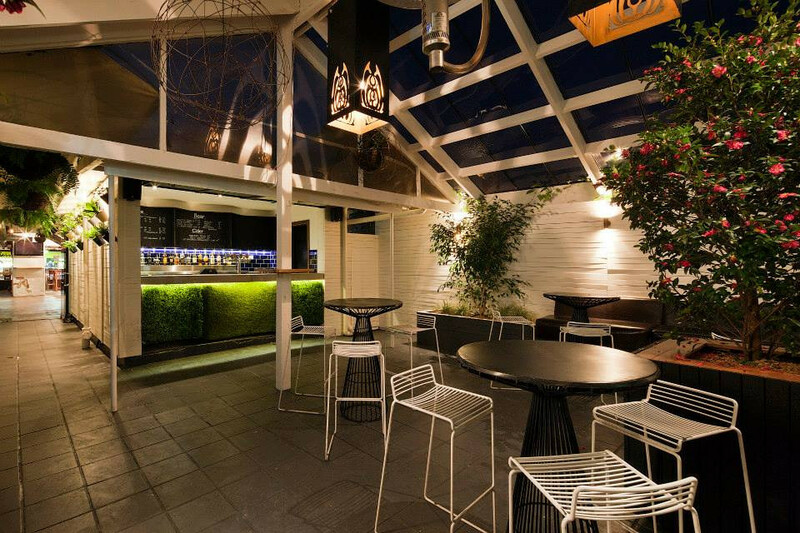 Breezy in the summer, warm and dry in the winter, this exclusive space provides perfect-drinking conditions all year round. 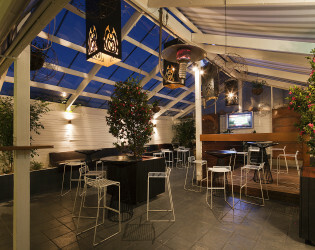 The Garden Bar, The Mezzanine Bar, Fireplace lounges, Front room. 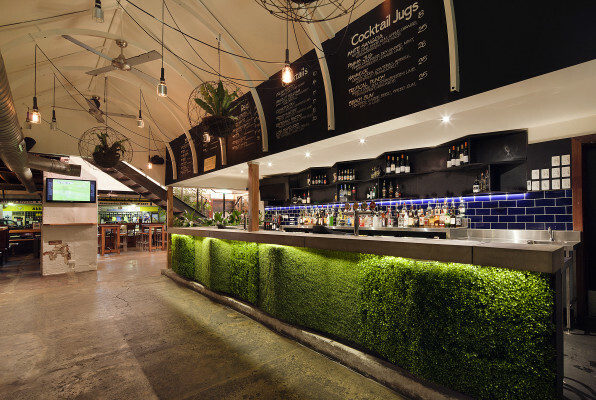 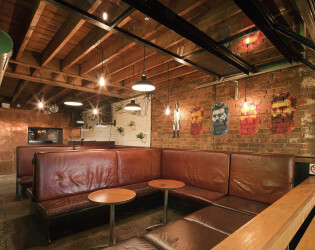 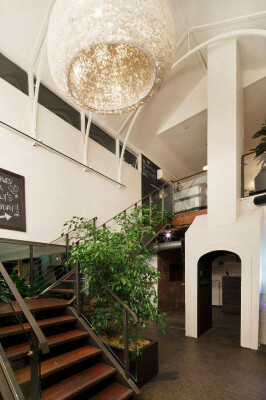 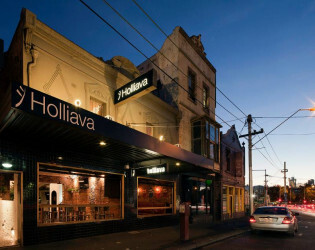 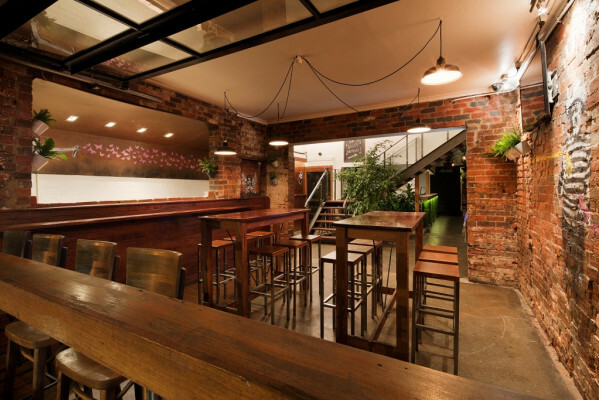 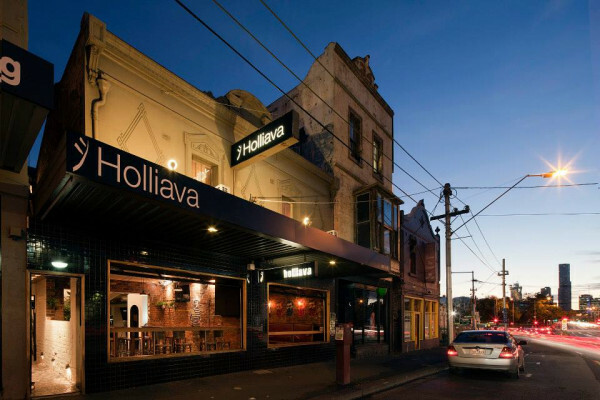 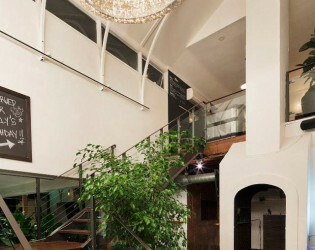 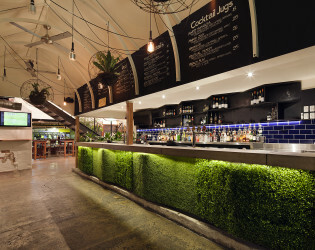 This Australian venue houses a total of three bars over two levels. 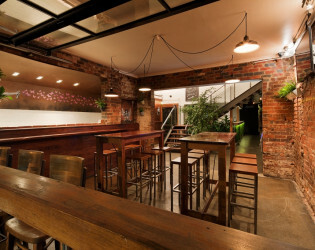 The ideal locale for a small group gathering or large group celebration.